Peggy Ehrhart is a former English professor with a Ph.D. in Medieval Literature. She taught writing and literature at Queens College, CUNY, and then at Fairleigh Dickinson University, taking early retirement in 2002 to focus on writing fiction and playing guitar. 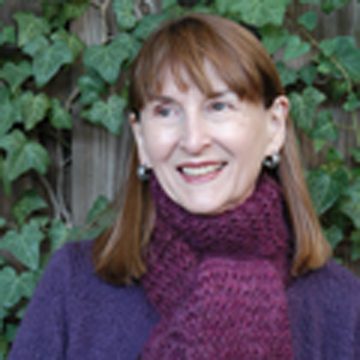 Peggy is currently writing the Knit and Nibble mystery series for Kensington Books. Set in the charming (fictional) town of Arborville, New Jersey, it features amateur sleuth Pamela Paterson, founder and mainstay of the town’s knitting club. Peggy herself is an avid crafter, dating from her childhood as a member of the 4-H Club in rural Southern California. Peggy regularly attends mystery-writing conferences and participates in conference panels. She also gives talks on mystery fiction at libraries in New York, Connecticut, and New Jersey.